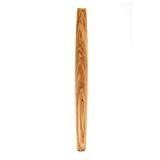 This cool new Olive Wood Rolling Pin not only flattens dough in style, it also looks great on display when not in use. 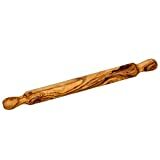 This beautiful rolling pin is crafted from Italian olive wood and has copper handles on the side with a fingerprint-resistant finish. 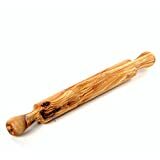 The unique grain patterns of the olive wood make each piece truly unique and the wood naturally darkens with use. 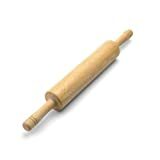 Makes a great gift for anyone who loves to bake or just anyone who would appreciate one fine looking rolling pin.